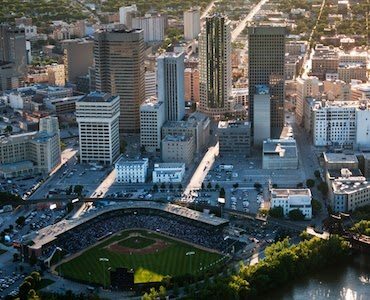 Winnipeg is more than just the “gateway to the west.” It’s the largest city and provincial capital of Manitoba, and that means that for anyone that wants the best professional and personal opportunities in the province, Winnipeg is the city to live in. It is large, diverse, and offers a lot to its residents. Making the most of what is available in Winnipeg, however, requires certain personal characteristics. You have to be willing to work hard and seize a good opportunity when you see it. But you also have to have a clean criminal background to really take advantage of many professional opportunities. The presence of a criminal record can have a major effect on your life in Winnipeg, but Pardons Canada, a non-profit organization, can help you. If you have a criminal record, a process known as record suspension (formerly knows as a pardon) can purge the presence of that record from the CPIC, the Canadian Police Information Centre. In the past, this process was known as being issued or granted a pardon. The end result is the same, with a “sealing” of this record from the network so that in the future if a criminal background check is done, no one will see anything. Normally, anyone that is willing to pay a fee has the legal right to conduct a background check on any Canadian citizen. The only information that is legally, publicly viewable in such checks is the presence of a criminal record and subsequent details of that conviction. With a record suspension, no one, not even the American Customs & Border Patrol, will find anything on your record. For most people, getting into the USA is as simple as going through customs with a proper passport. But the American Customs & Border Patrol, or CBP, has the legal discretion to run a criminal background check on anyone they like. While they don’t do this for every visitor, any visitor can, potentially, be selected. The presence of a criminal record during a background check can permanently bar you from entry into America if the conviction falls under their moral turpitude category. If your conviction is found, it is permanently entered into the CBP database. Even getting a record suspension at that point won’t be enough to clear your name; you will need a U.S. entry waiver to ever legally enter America again. A background check doesn’t just show the actual conviction of people who have concluded a trial. Your record may also show when you have been charged, arrested and fingerprinted. An acquittal in trial, a dismissal, or even withdrawal does not mean that the previous details of your arrest are erased from the system. The same is true for stayed, peace bond, diversion, absolute discharge and conditional discharges. In fact, unless you take the steps yourself, that information will remain there, and still, come up on a criminal background check. If you’d like to clear up these last “leftovers” from your record, getting a file destruction request will do the job, once a minimum waiting period has elapsed. All of the processes relating to criminal records, whether it is a full record suspension or pardon, securing a US entry waiver, or dealing with the last remaining fragments of an arrest, require time, official documentation and a lot of paperwork. Pardons Canada has the experience to guide you through any of these processes and ensure that your application is as smooth and as efficient as possible. If you want to enjoy a clear record in Winnipeg, call or email us to explain the details of your case, and together we’ll get started.